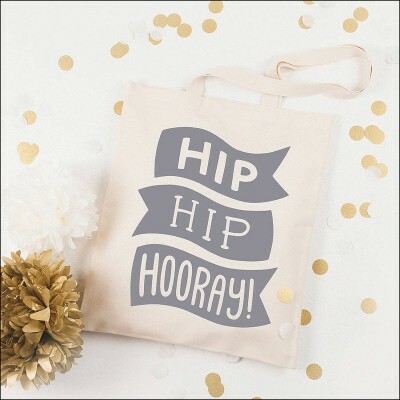 hip hip hooray - grey by Alphabet Wedding Bags | Wedding Shoes by Alphabet Wedding Bags | Bridal Shoes by Alphabet Wedding Bags from Arabesque. A rather cheery tote ideal for celebrating a special occasion. Also perfect for spreading cheer throughout the year!